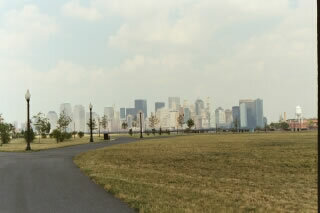 Security at Liberty State Park. 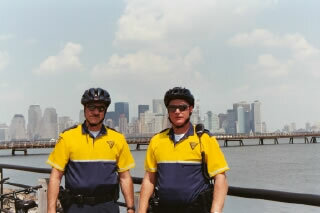 They had told me they had worked security on New Years Eve 2000 for the Millennium celebration. 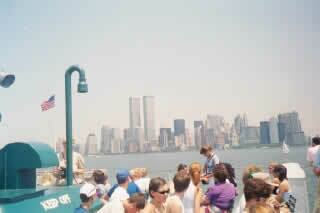 They had their picture taken in that very spot with the Twin Towers behind them and wanted a picture again from that same place. 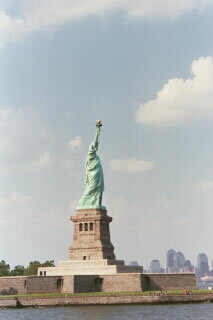 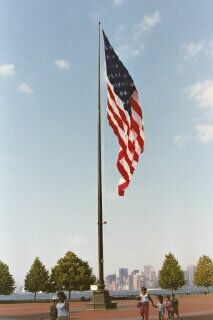 Left: Picture of the giant flag on Liberty Island. 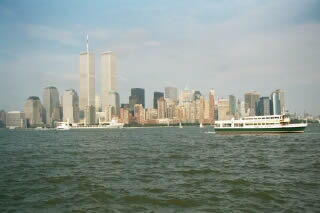 The Twin Towers would have been sticking up in the background. 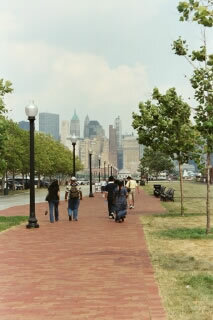 Above and Right - the walkway in Liberty State Park in Jersey City. 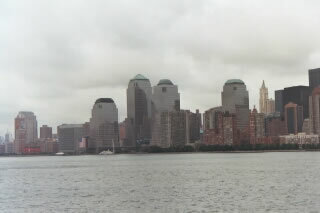 Straight ahead would have have (should have been) the Twin Towers rising up twice the height of the other buildings in the pictures. 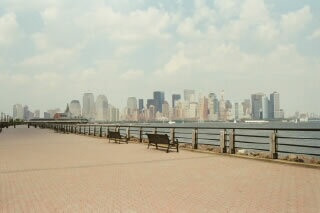 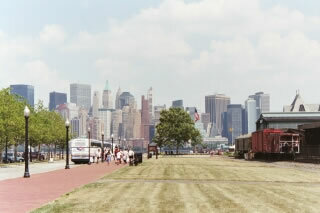 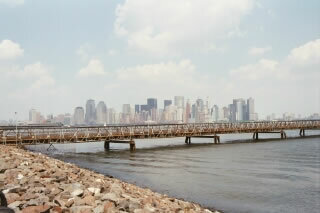 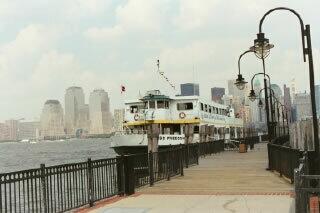 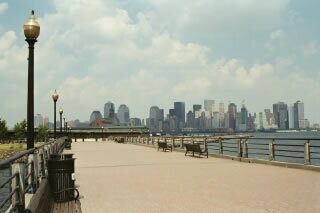 The above right and right pictures isthe River Walk in Liberty State Park. 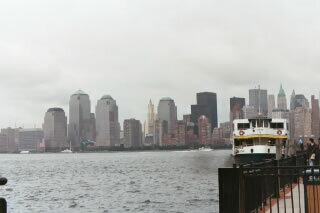 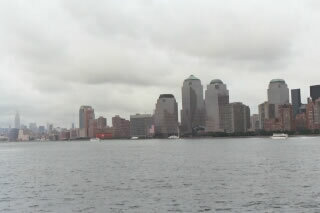 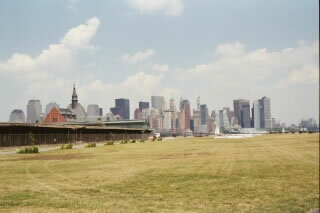 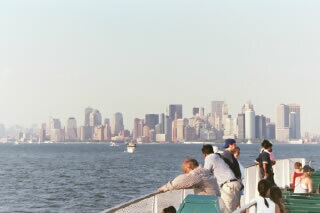 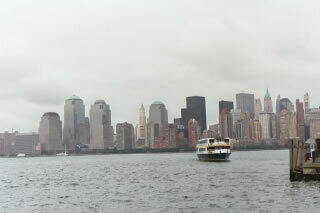 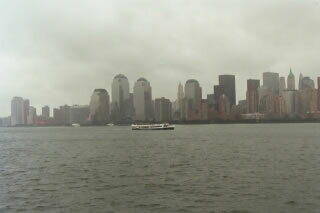 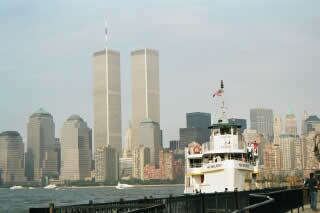 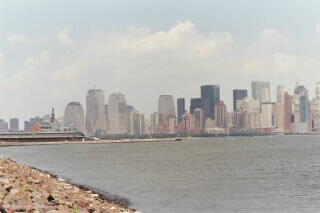 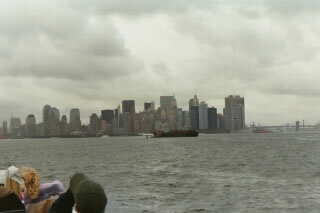 The Ellis Island/Liberty Island Ferry used to be dwarved by the Twin Towers. 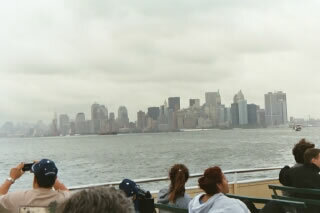 Now it hides most of Lower Manhattans skyline. 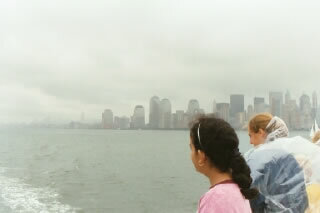 These last four pictures are on the Ellis Island/Liberty Island Ferry. 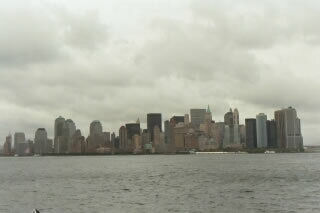 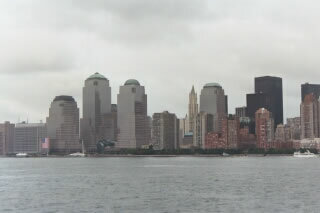 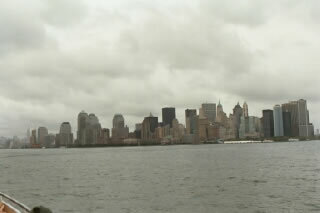 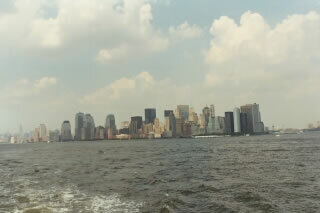 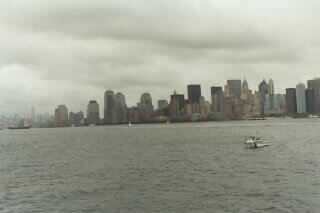 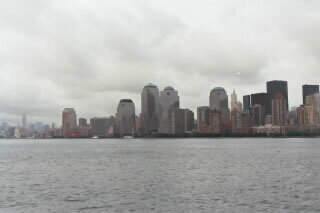 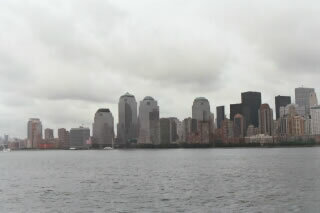 It's hard to get used to lower Manhattan without the Twin Towers rising above all the other buildings. 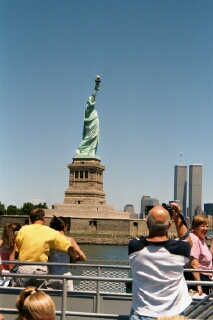 The following pictures were taken on September 1, 2002. 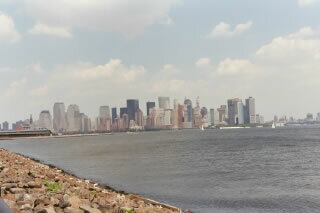 Again from Liberty State Park. 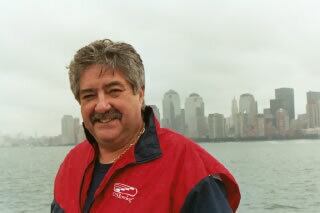 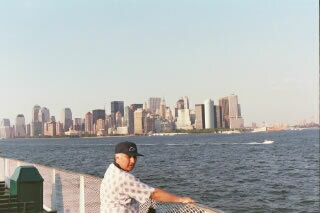 My father on the Ellis Island/Liberty Island Ferry. 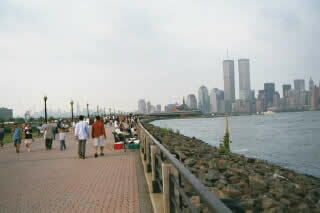 This of course is a pre 9/11 photo. 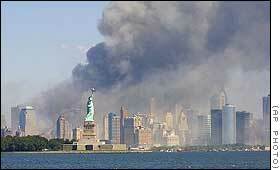 I don't want anyone to forget what was there.